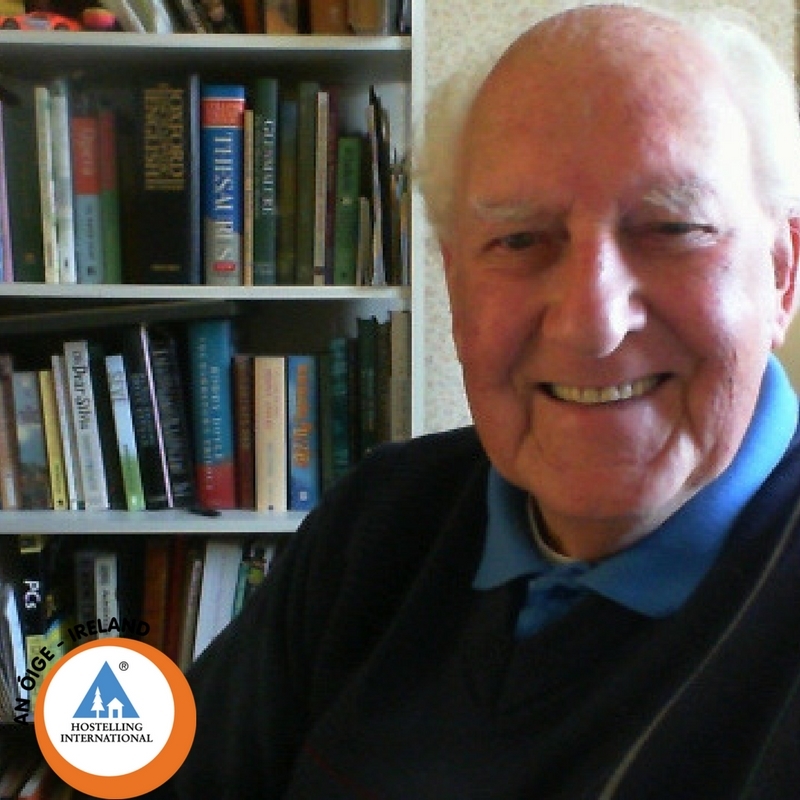 George King, former president of An Óige would like to share his final words of wisdom before stepping down. 1. What makes our mission meaningful to you? Seeing so many people young, and not so young, utilizing the facilities and the opportunities we present to explore and enjoy the countryside. 2. What was your highpoint as An Óige president? 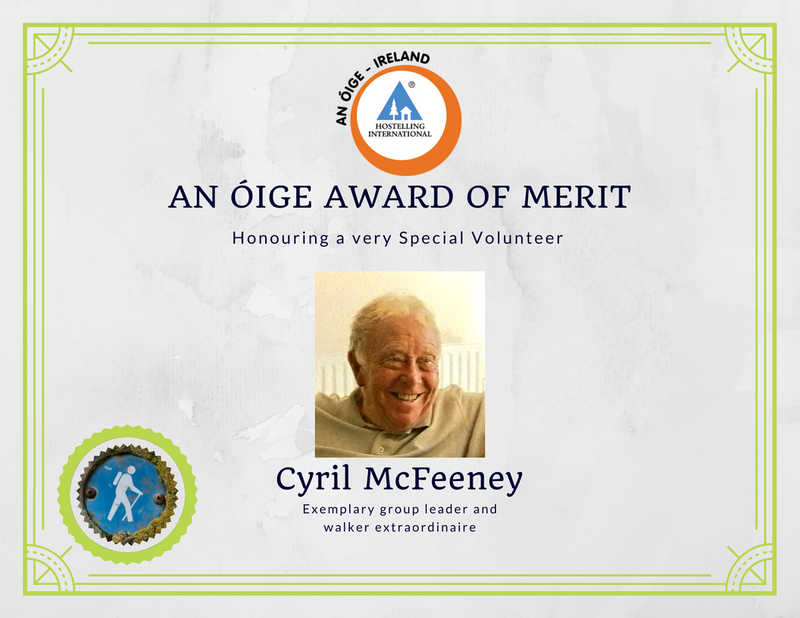 Undoubtedly presenting the first An Oige Award of Merit to my old friend Cyril mcFeeney- such a worthy recipient. 3. What is your favourite hostel and why? No challenge- without question Glenmalure as its remoteness and back to nature feeling represents real hostelling in the old sense as I remember it from my early days in An Oige in the 1940’s and 50’s. 4. Who is the most interesting person you met in a hostel? There have been many-beautiful girls; handsome athletic young men whom I envied; grouchy but interesting old men; but, from an interesting point of view, it is hard to pass the late Walter Meade. 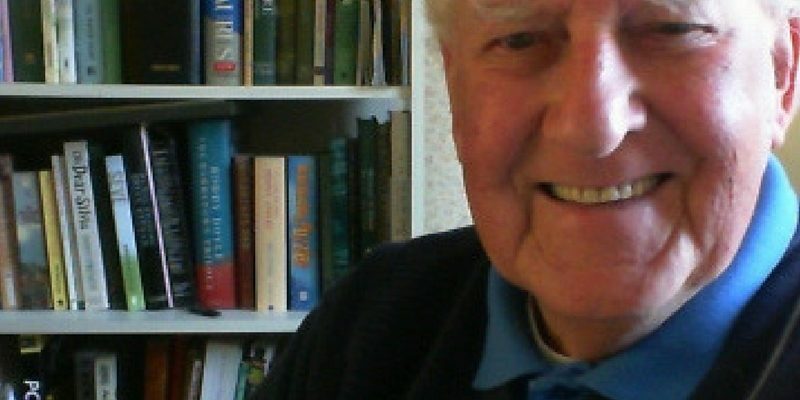 He was a fund of knowledge, full of great stories of his travels and travails, a worker who led by example and did so much for the Association. 5. Do you have a childhood/defining moment when you knew what you wanted to be when you grew up? I was always interested in sport and competed over the years in eight different disciplines. As an avid reader and with such a sporting background, it was probably inevitable I should become a sports journalist. The defining moment was when I was a reserve on the Ireland schoolboy soccer team in 1947 that thrashed England 7-3 at Dalymount Park and I was approached by the famous journalist W.P.Murphy, then Chief Sports Reporter of the Irish Independent, to write about our training and do pen pictures of the team. 6. Tell us one place you would love to visit again? Easy to answer – without doubt Lisbon which I loved as a city and found the natives so charming and hospitable. 7. Favourite location in Ireland? 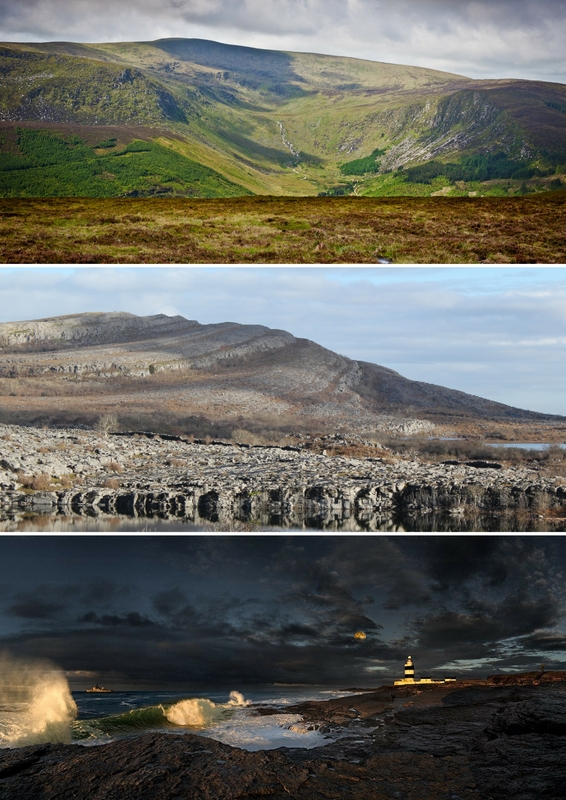 Without doubt Glenmalure for its serenity; The Burren for its wonderful scenery and seascapes and Hook Head for its craggy rocks and wild sea. 8. If you were going hostelling and had to bring three famous people, who would you invite? 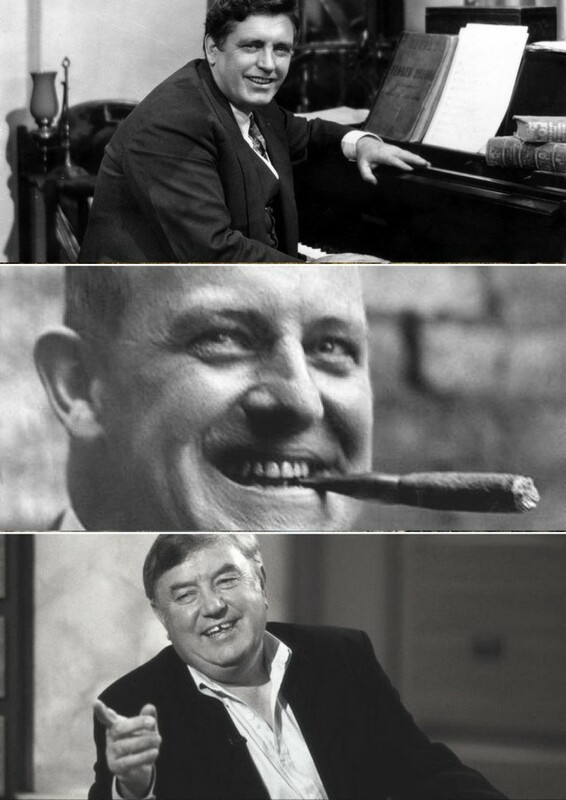 John McCormack to provide the music; P.G Wodehouse for the stories and Jimmy Tarbuck for a good laugh. 9. What does true leadership mean to you? True leadership is showing the way by example and having the ability to get others to do the right thing, even under protest, without causing too much friction. 10. You can have one superpower, what do you choose? To win a giant European Lottery prize so that I could bail out An Oige. 12. What are the characteristics of a good President? Presence, poise, unflappable, sense of humour, good communicator, well researched in the subject of the presentation. 13. Tell us one place you never want to visit again. 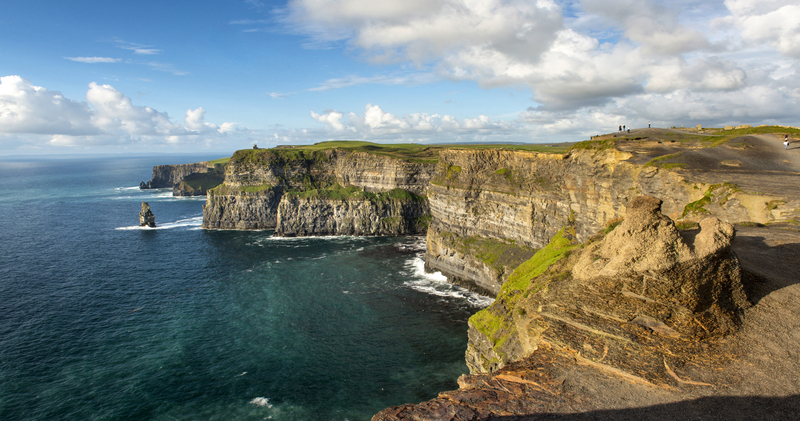 Cliffs of Moher, one of my favourite spots in the old days, but now spoiled forever by commercialism. 14. 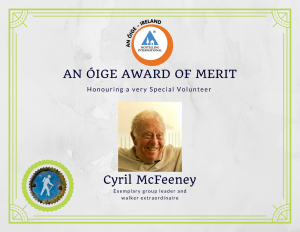 What do you think is left to do for An Óige? Encourage true hostelling and use of hostels as places of relaxation and camaraderie not one stop cheap accommodation. Extend this type of membership and bring more of the younger brigade into administration. 15. What are you most excited about with the new President? Dave Fadden was a great Chair of the Board and saw us through the very bad years with the Bank crisis. A sound thinker: a great negotiator: a knowledgeable traveler, musician and raconteur, I welcome his return to the top most heartily. If you want to find out more about our people you could always visit some of our hostels, or subscribe to our monthly newsletter.